there'll be two winters in the year." "Punxsutawney Phil, America’s most famous groundhog, has predicted six more weeks of winter weather." "Punxsutawney Phil, Pennsylvania's most famous groundhog predicts six more weeks of winter on groundhog day. The tradition takes place every year on February 2nd." "Every February 2nd, Americans observe Groundhog Day. On this day, Punxsutawney Phil, a groundhog, looks for his shadow and predicts if warm weather will arrive soon." "Groundhog Day may be associated with the 1993 Bill Murray film, but its origins lie with German settlers in the 18th century." Use the map to complete the statements. "It is the story of a family of groundhogs who learn that each member of the family is special and has something to contribute, regardless of size, strength, or age. Each member of Phil's family was named after something to do with the weather. On their own special pages they will tell you something about their names, play fun and educational games with you and teach you about weather." "Punxsutawney Phil sees his shadow on Gobbler's Knob, meaning six more weeks of winter are on the way." "Groundhog Day is celebrated annually in Pennsylvania on February 2, centered around Punxsutawney Phil's meteorological predictions. Here's everything you need to know about the quirky holiday." 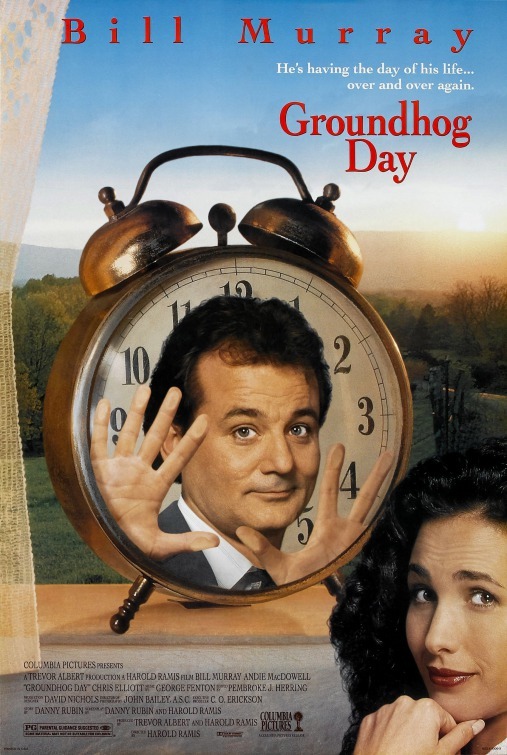 Groundhog Day "is a 1993 American comedy film directed by Harold Ramis, starring Bill Murray and Andie MacDowell." "Murray plays Phil Connors, an egocentric Pittsburgh TV weatherman who, during a hated assignment covering the annual Groundhog Day event in Punxsutawney, finds himself repeating the same day over and over again. After indulging in hedonism and numerous suicide attempts, he begins to reexamine his life and priorities."